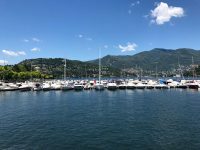 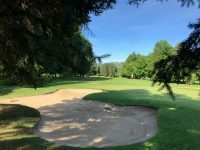 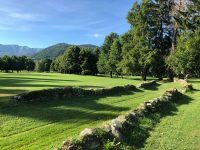 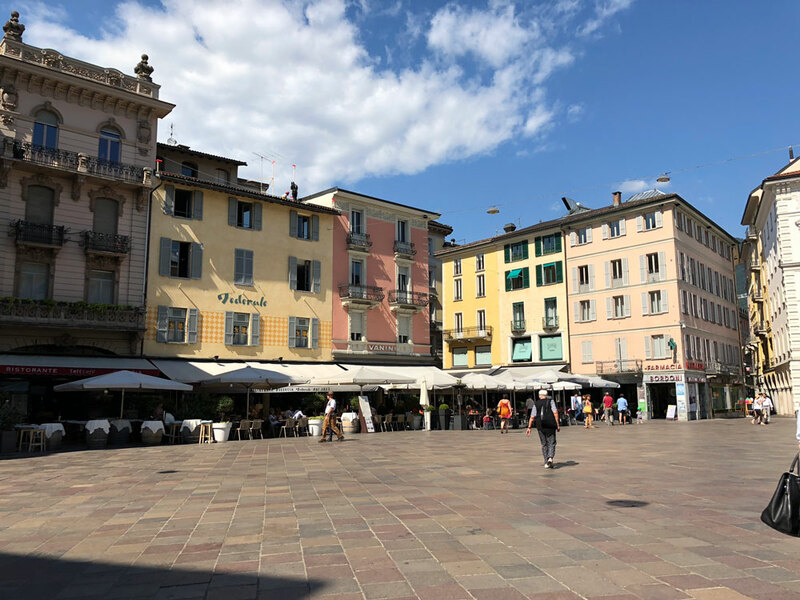 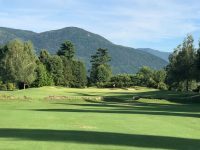 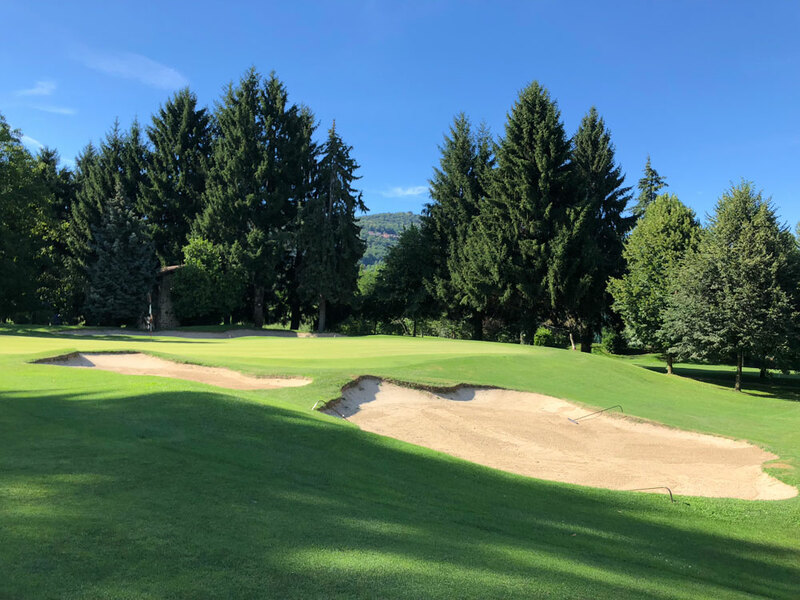 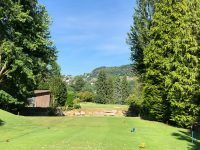 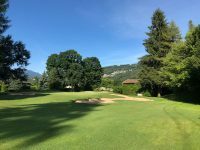 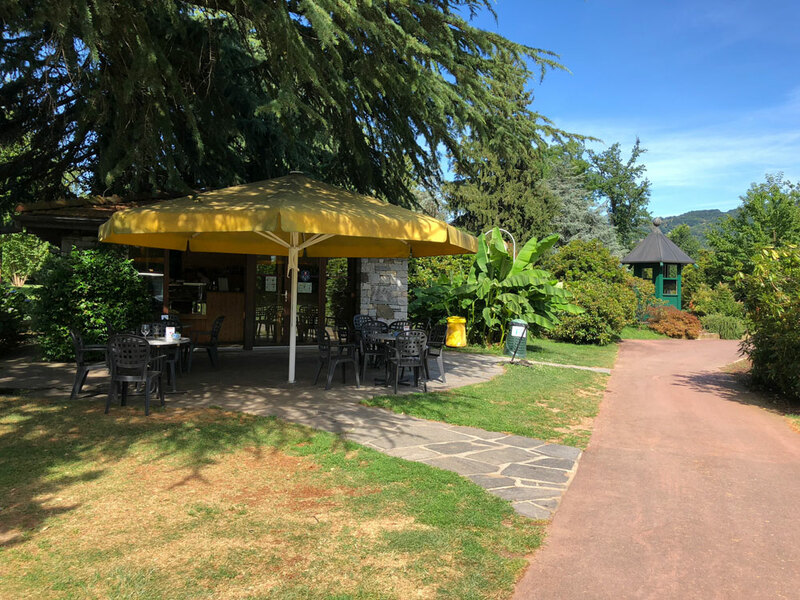 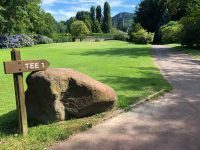 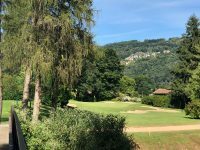 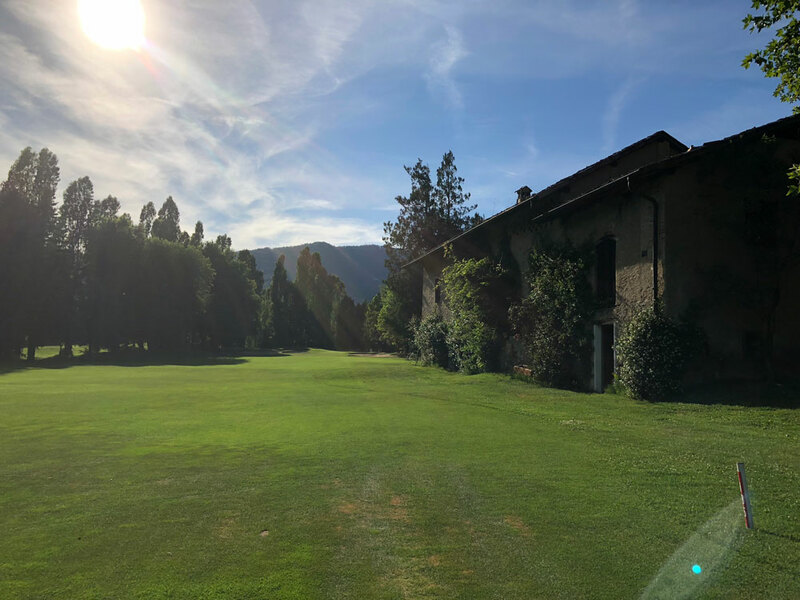 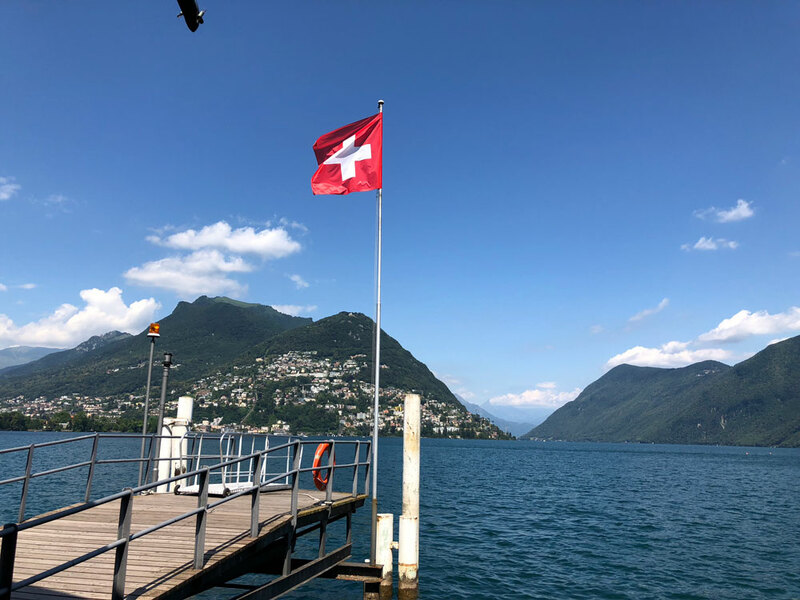 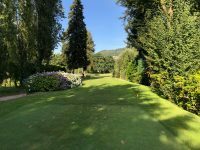 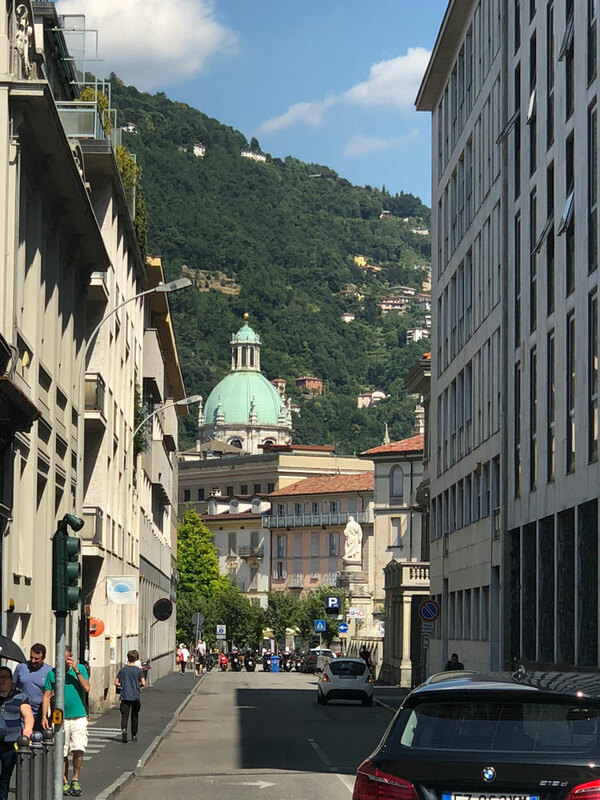 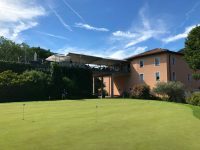 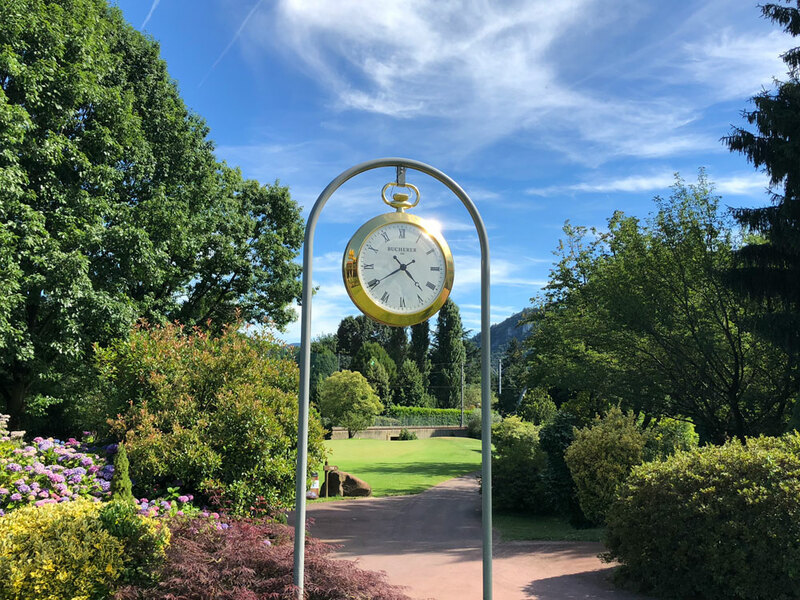 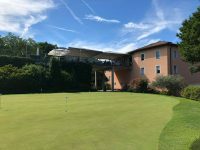 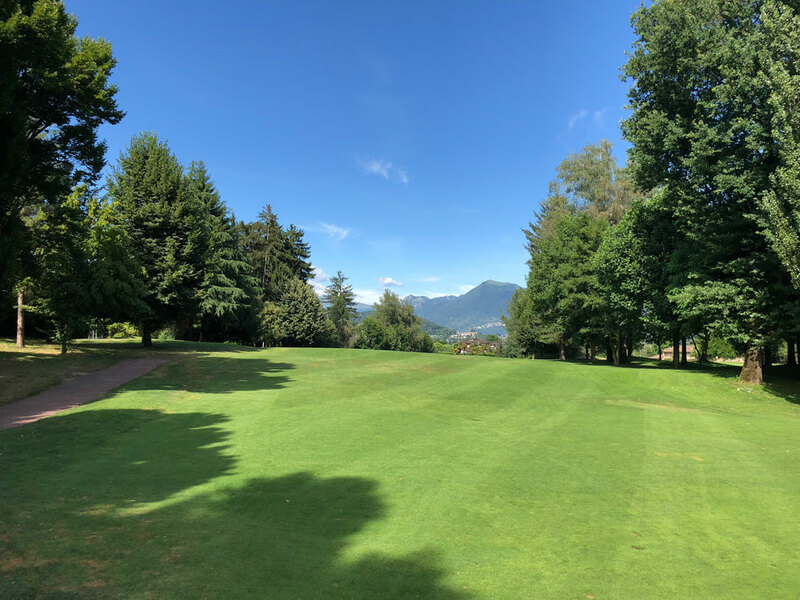 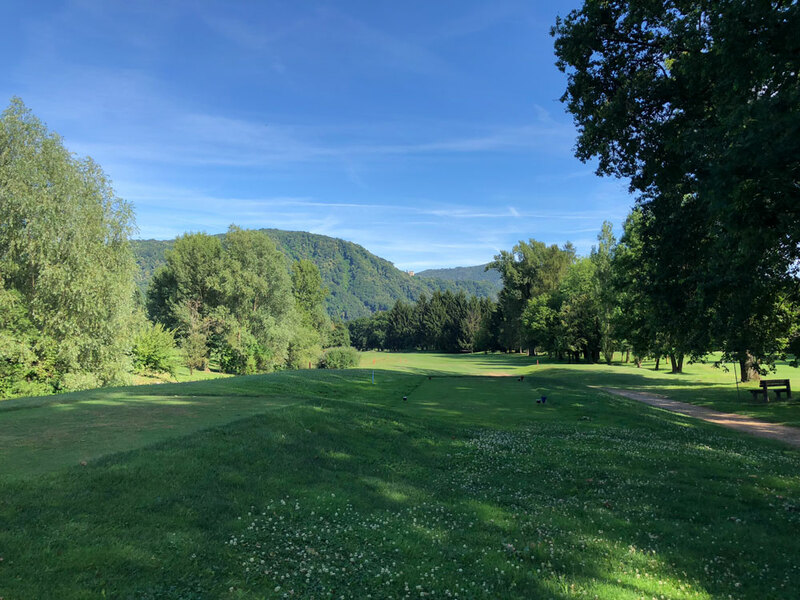 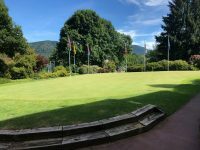 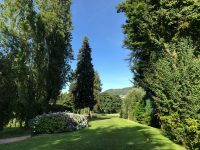 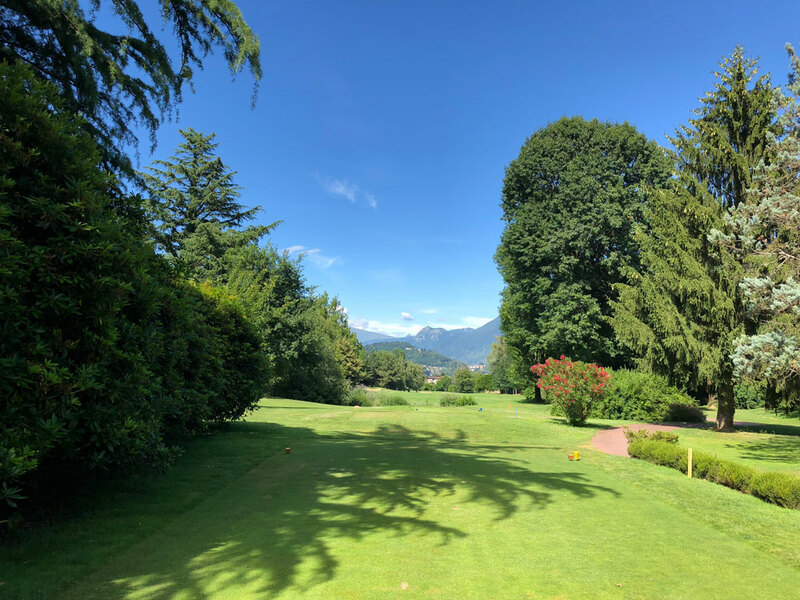 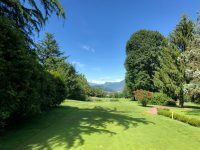 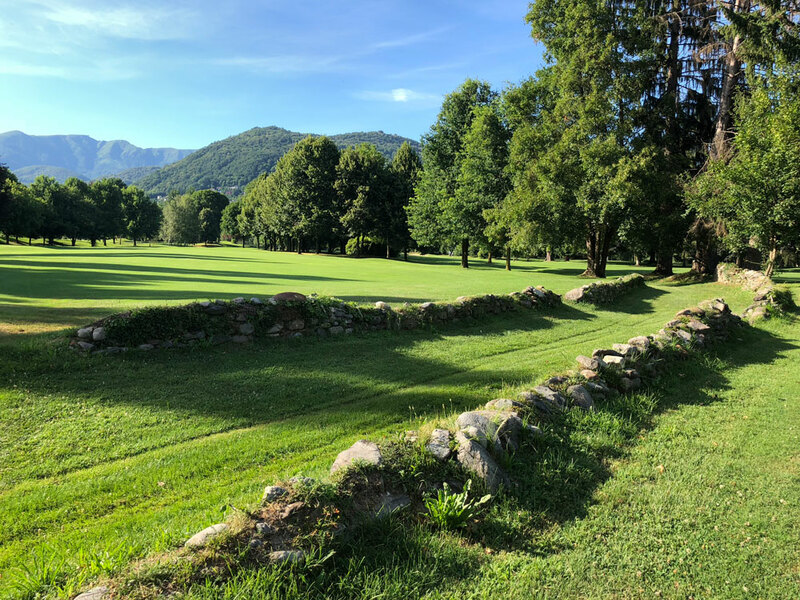 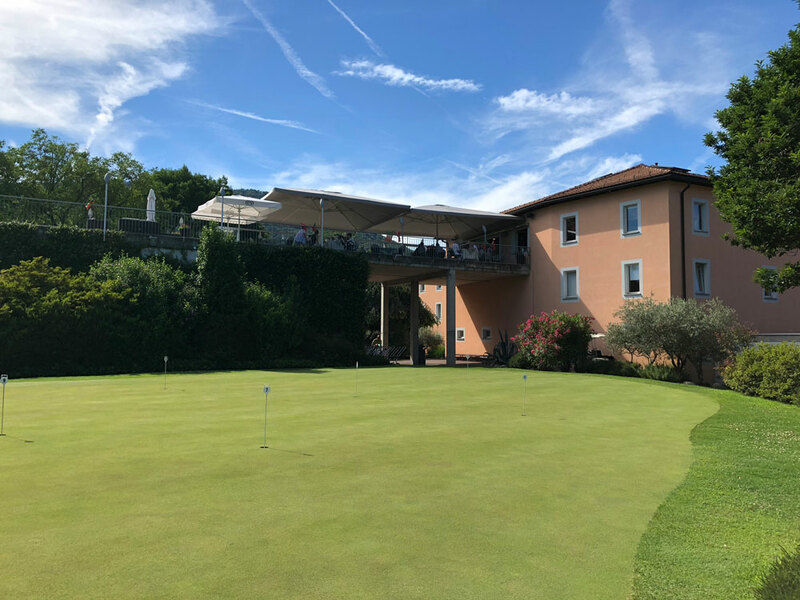 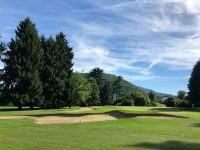 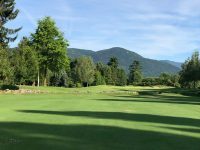 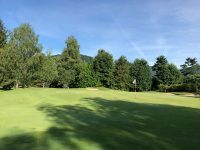 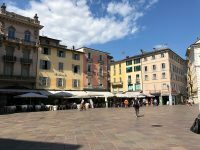 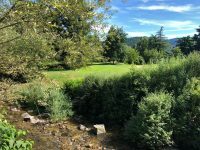 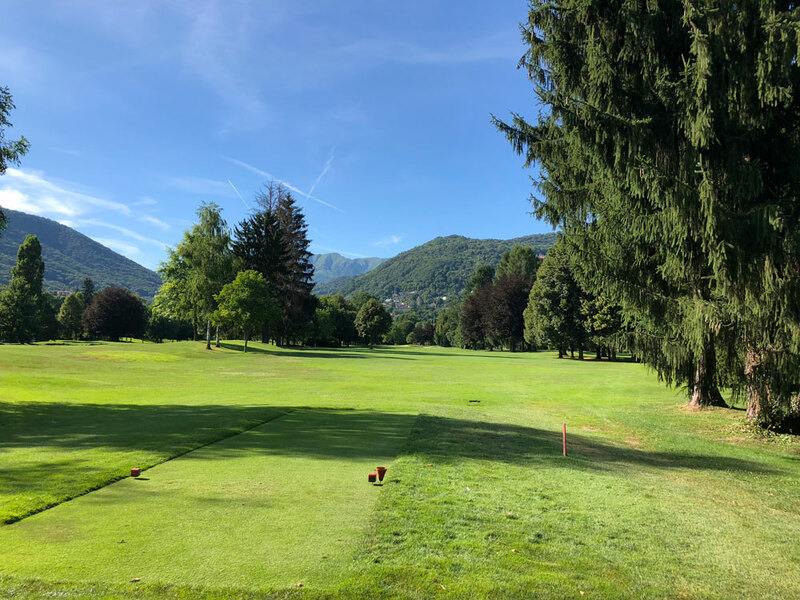 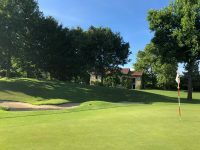 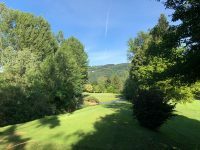 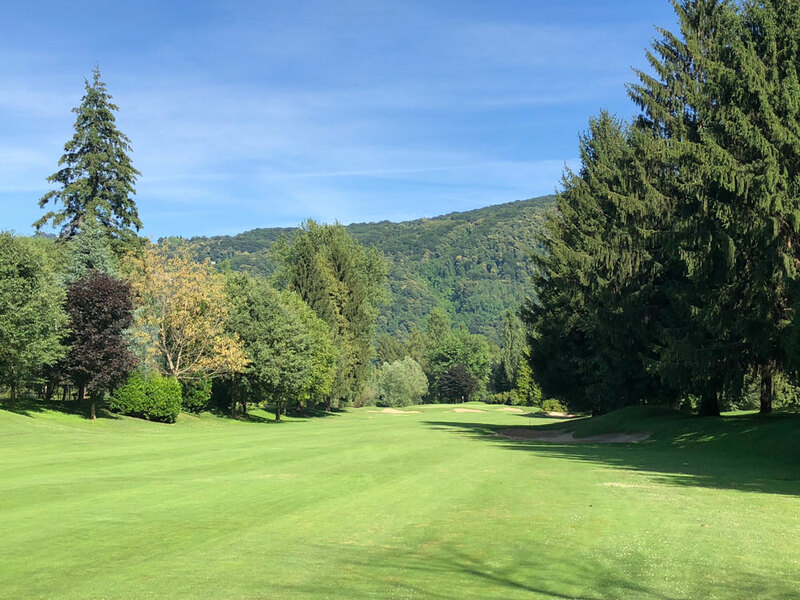 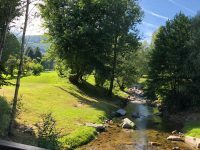 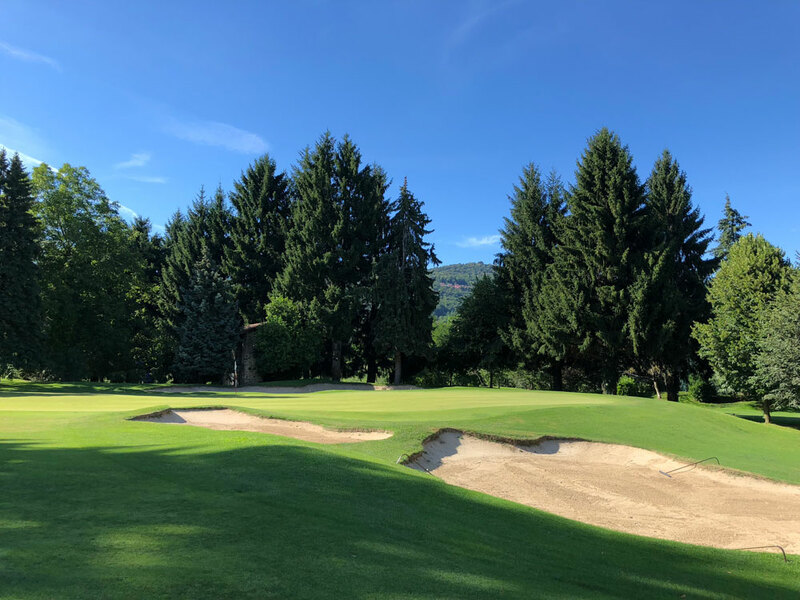 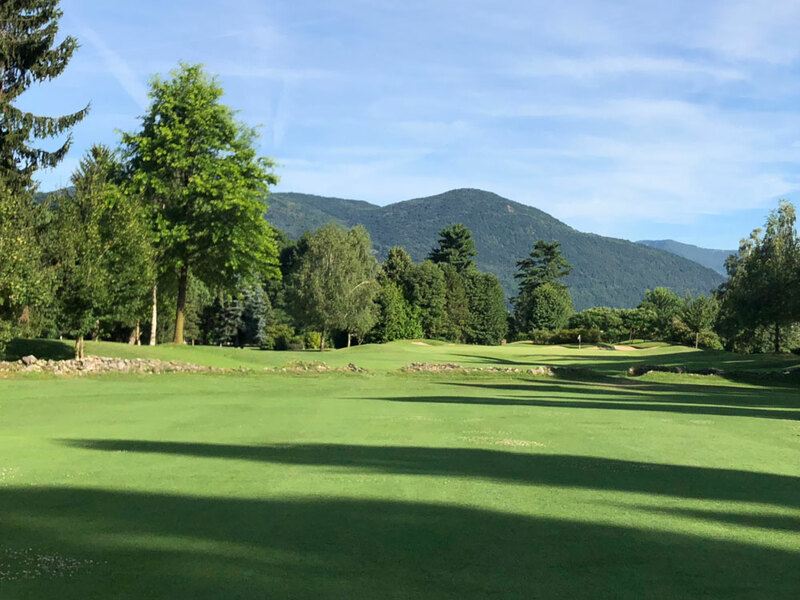 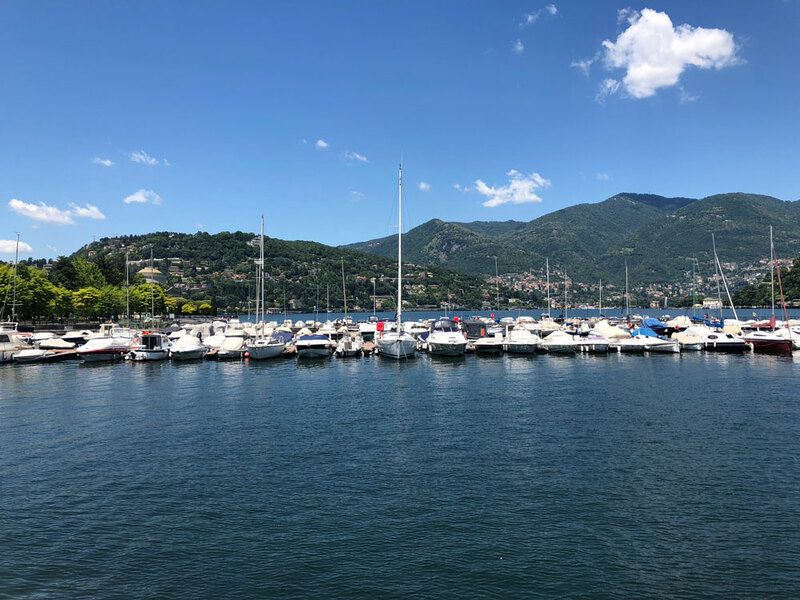 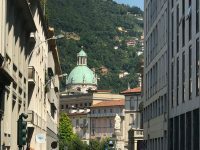 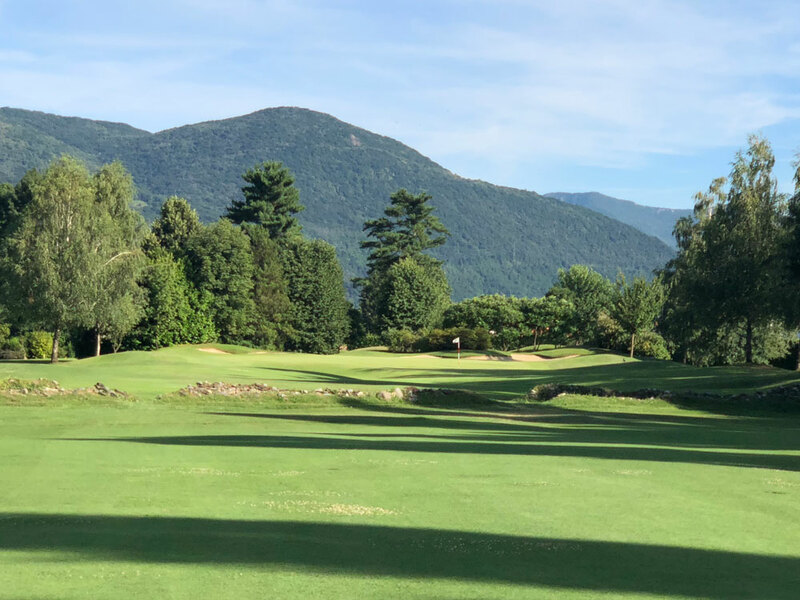 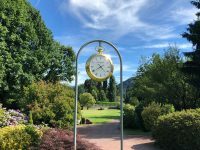 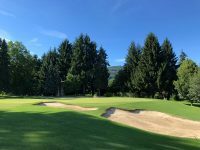 Thanks to a wonderful quirk of geography, the southern tip of Switzerland juts into Italy right by Como and this opens up an amazing opportunity to sample a second country on your Italian golf trip! 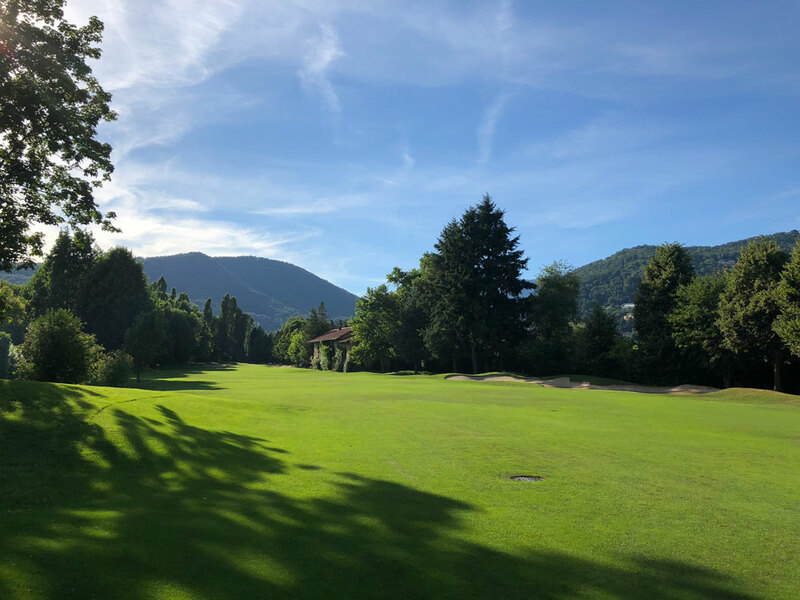 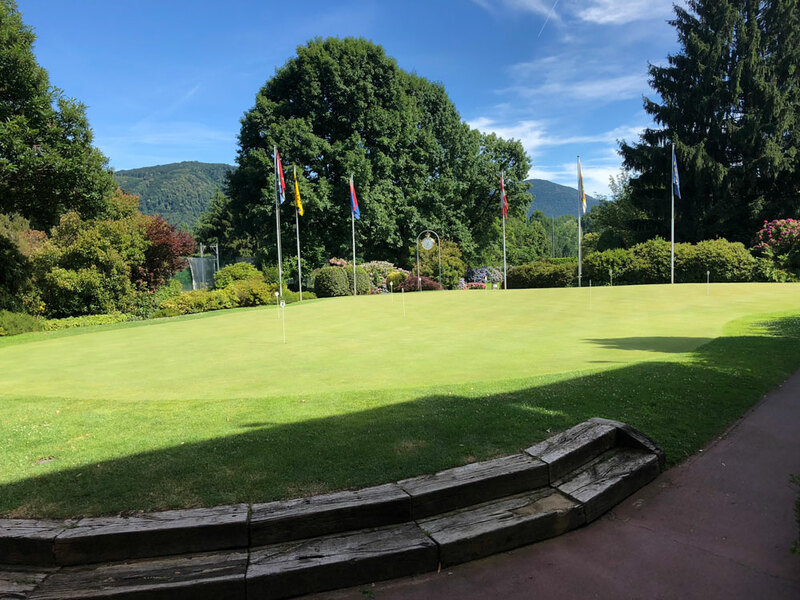 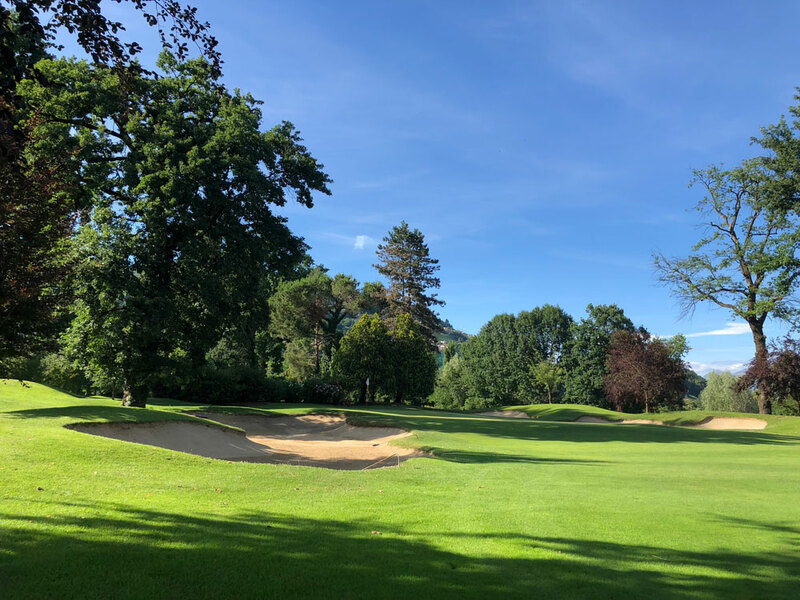 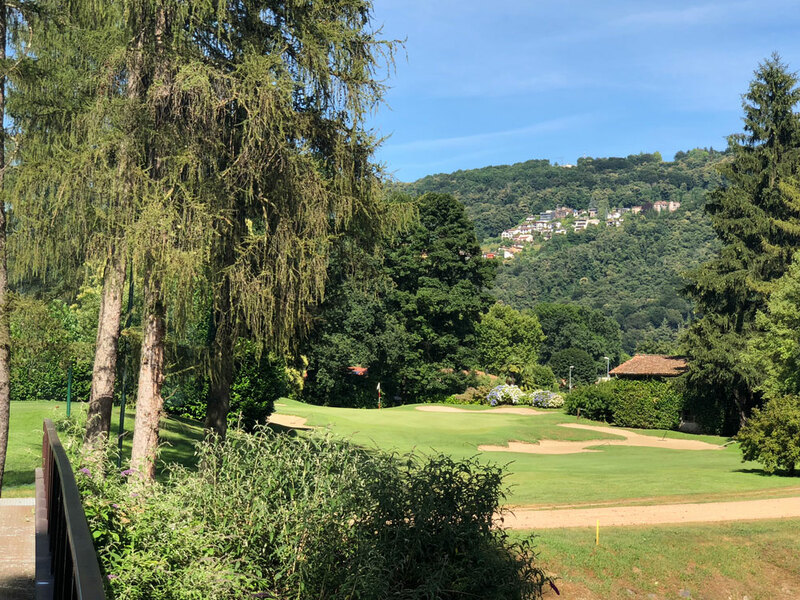 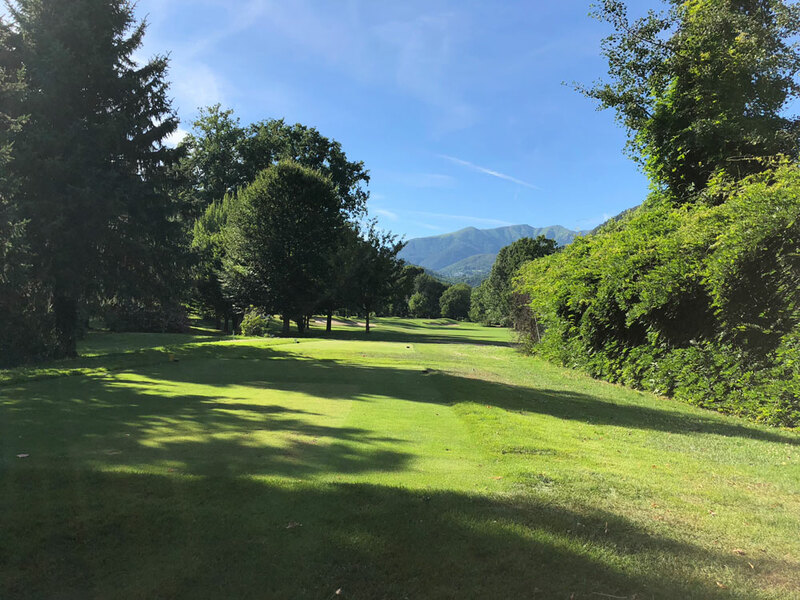 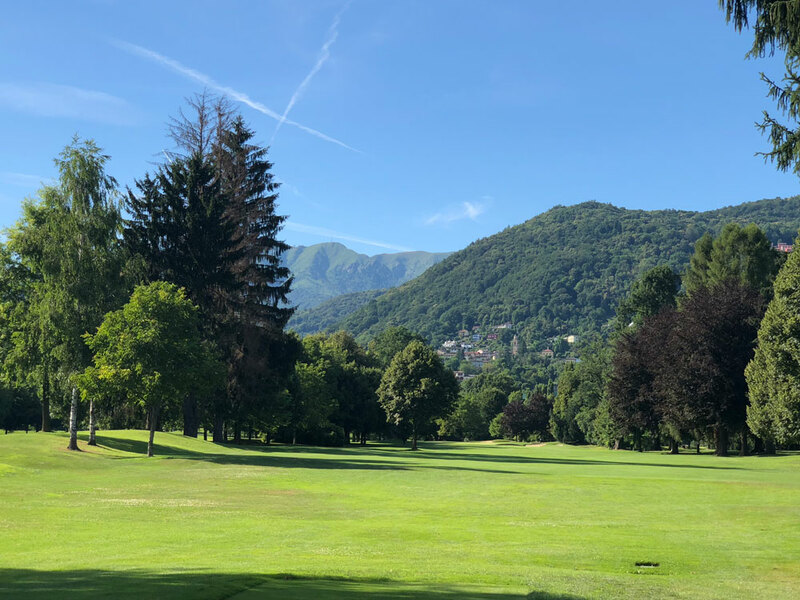 Here in the “Italian” part of Switzerland, the Swiss city of Lugano sits majestically alongside the shore of glacial-blue Lake Lugano and just a few minutes out of town is the Lugano Golf Club, one of the most tranquil and relaxing settings for golf one could ever hope to find. 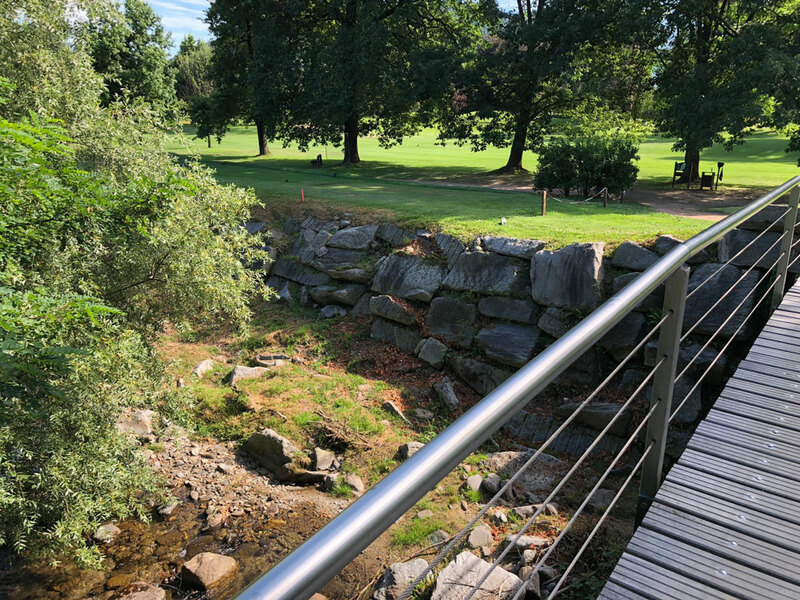 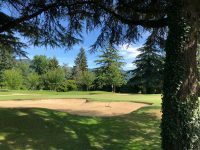 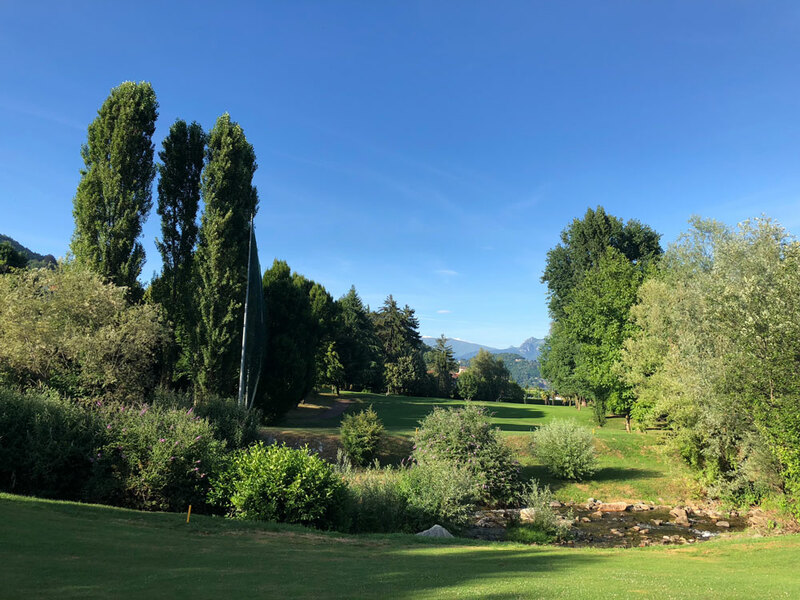 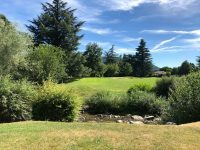 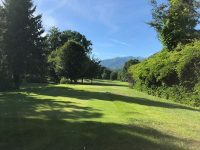 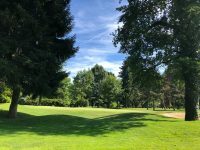 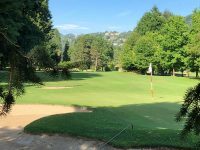 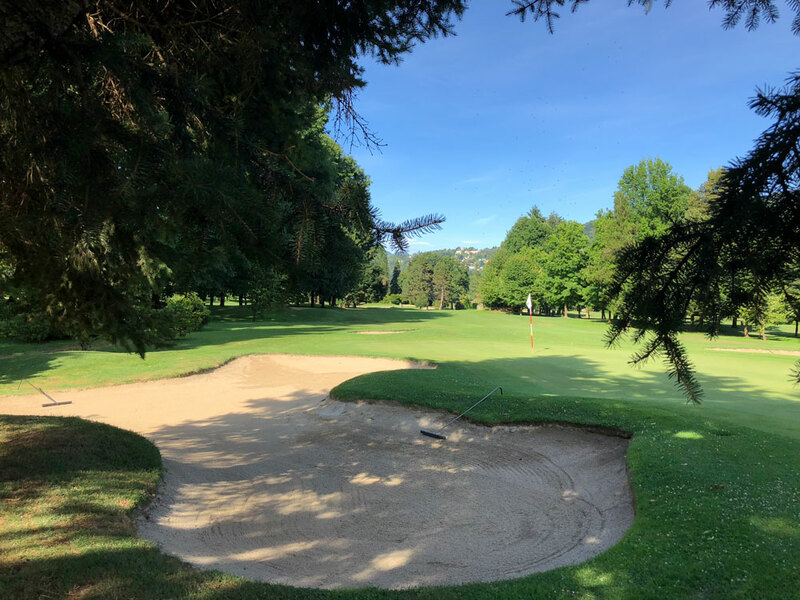 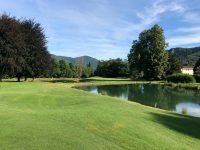 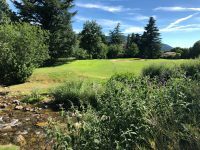 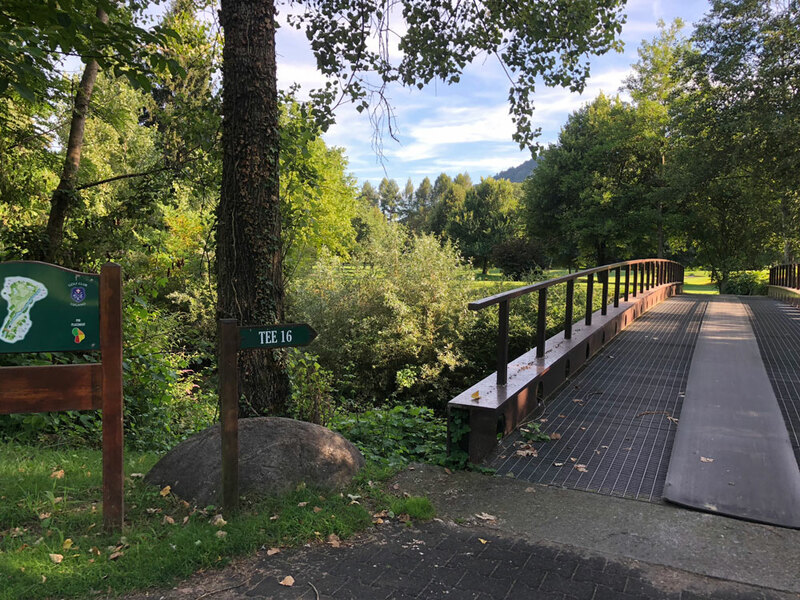 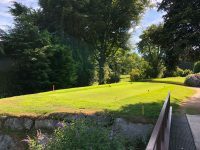 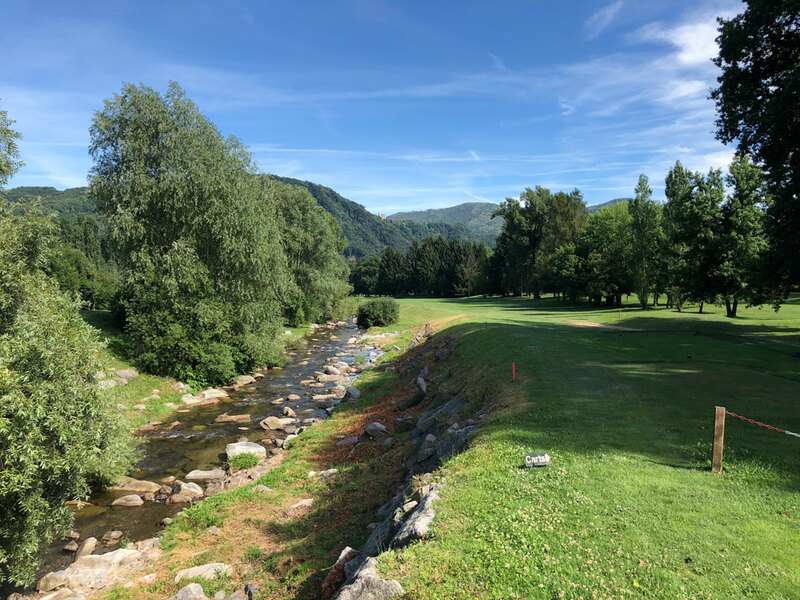 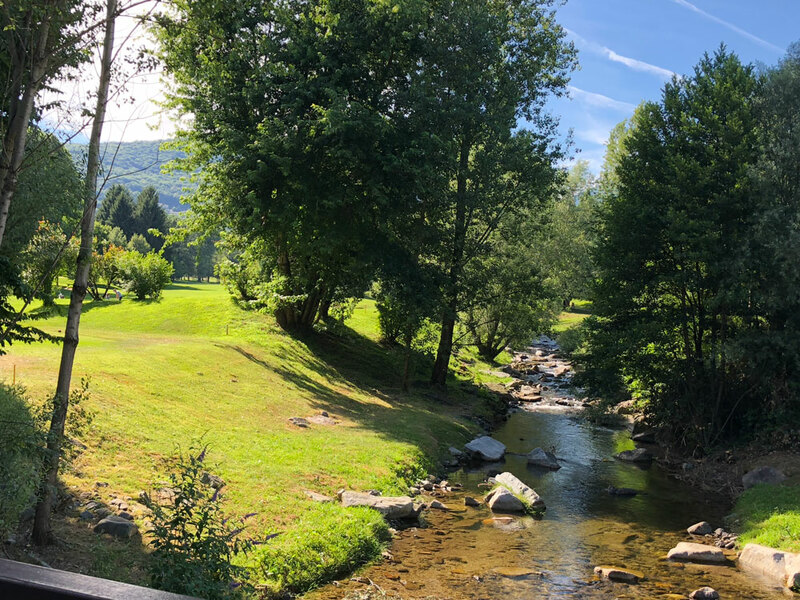 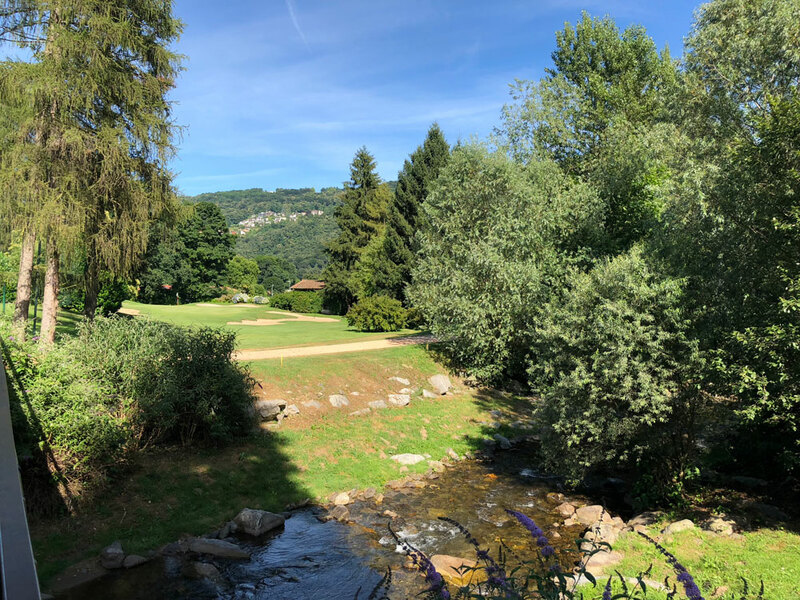 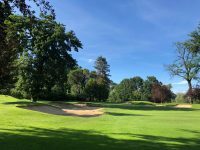 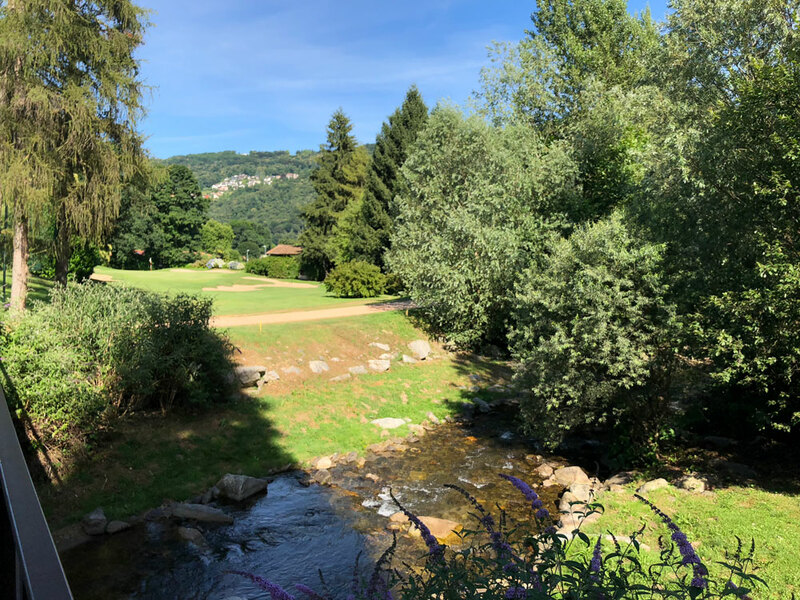 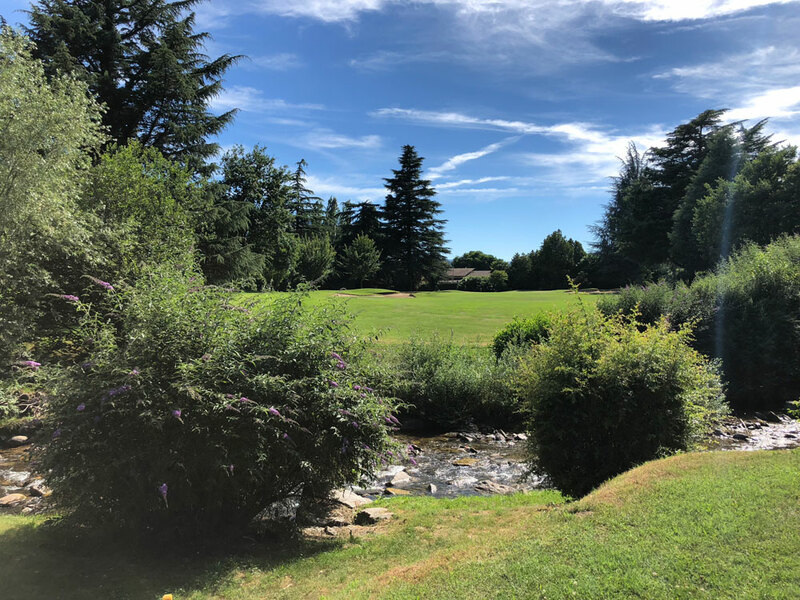 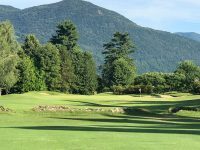 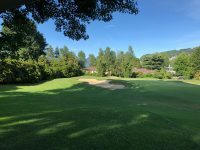 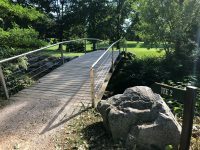 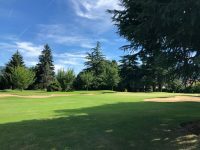 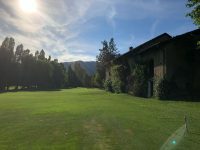 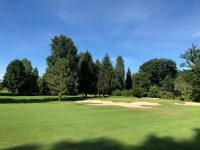 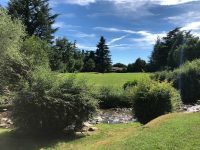 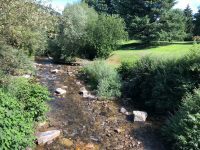 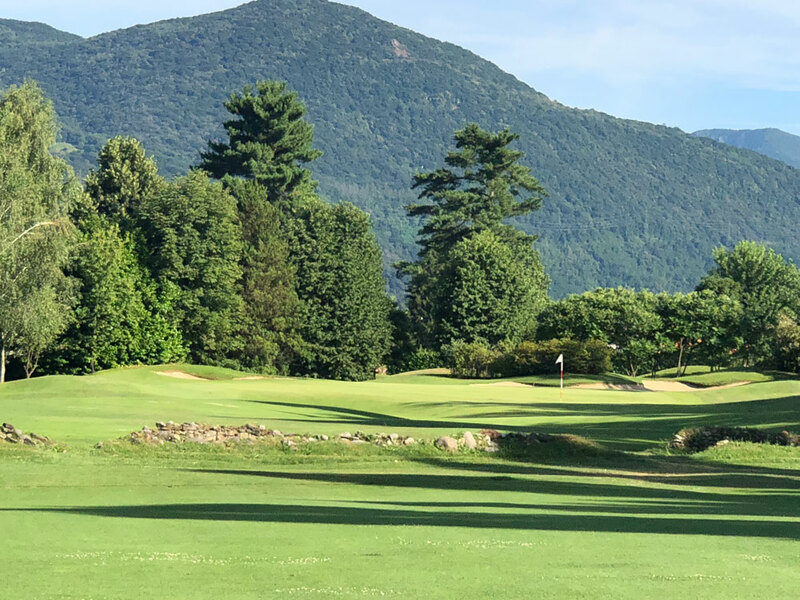 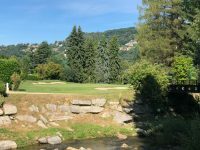 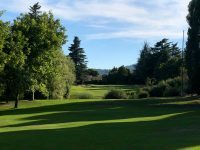 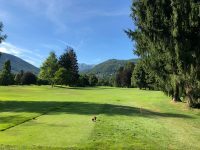 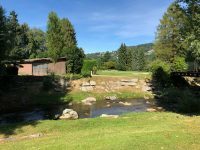 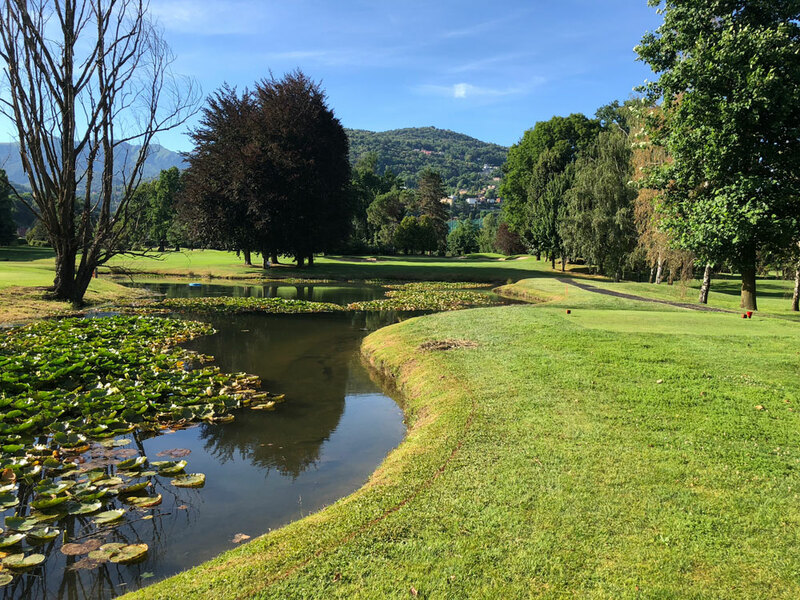 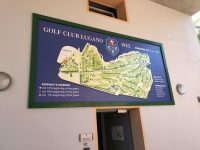 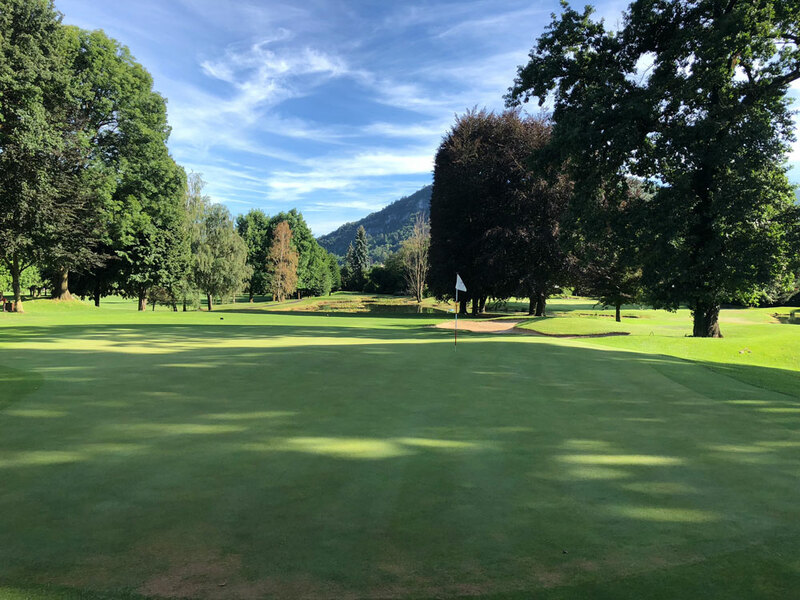 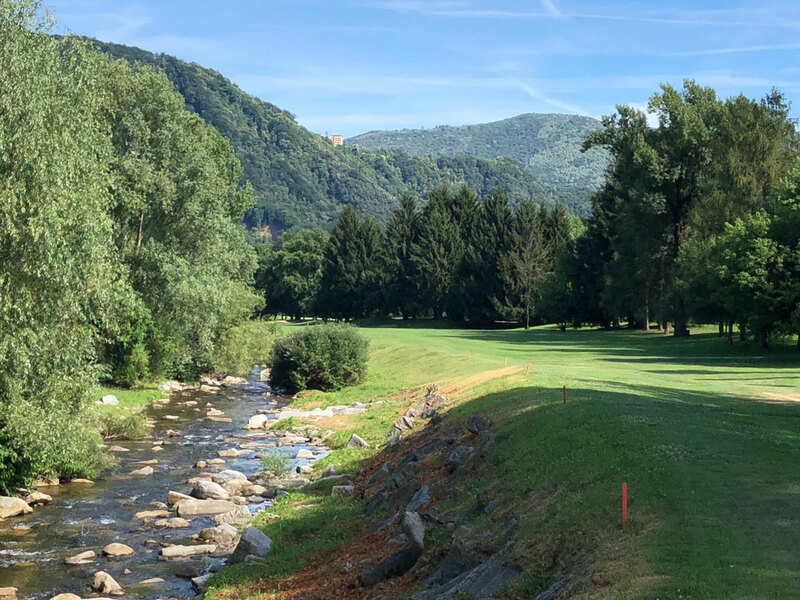 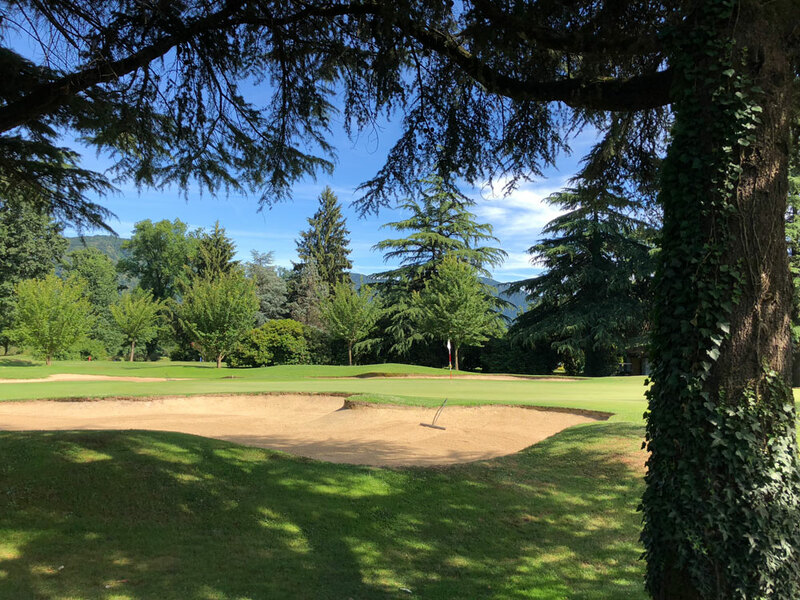 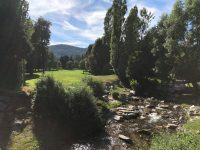 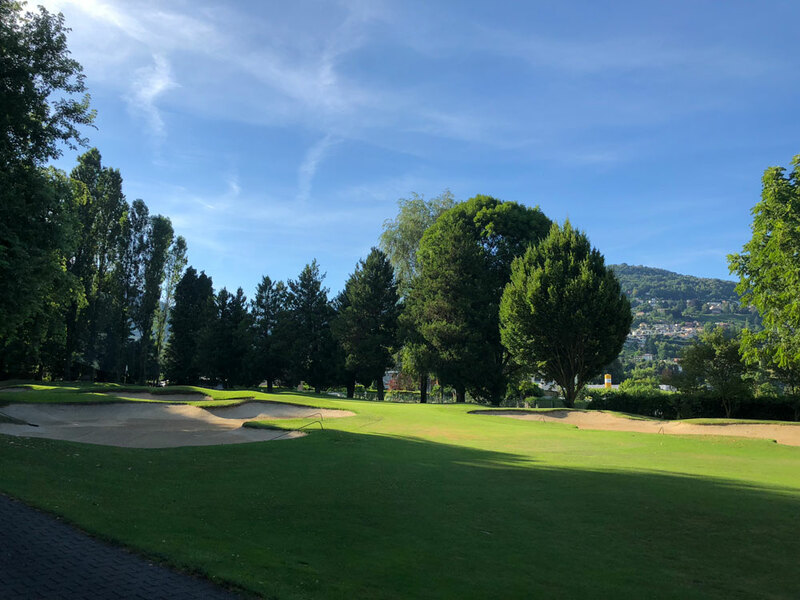 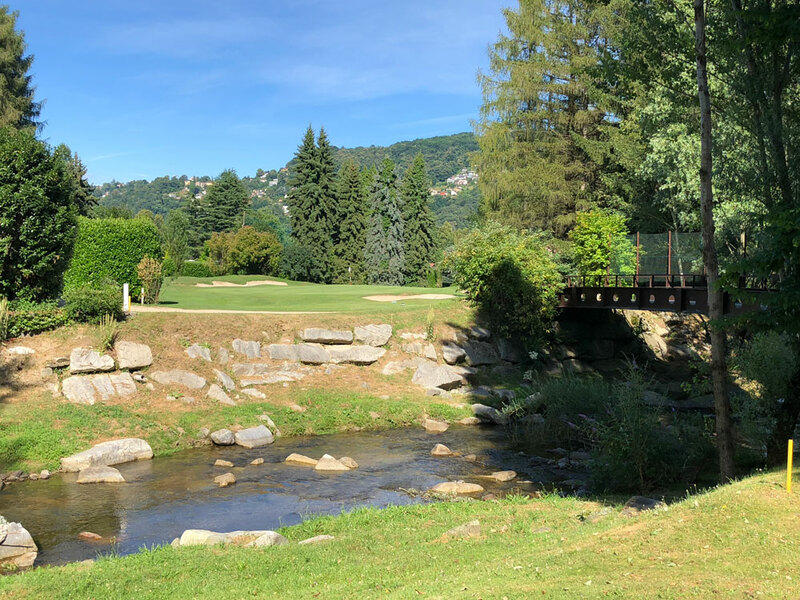 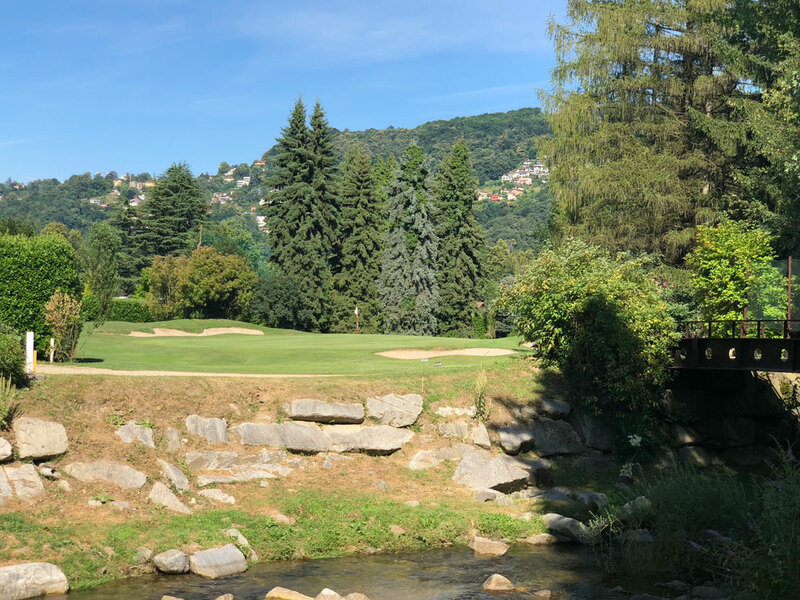 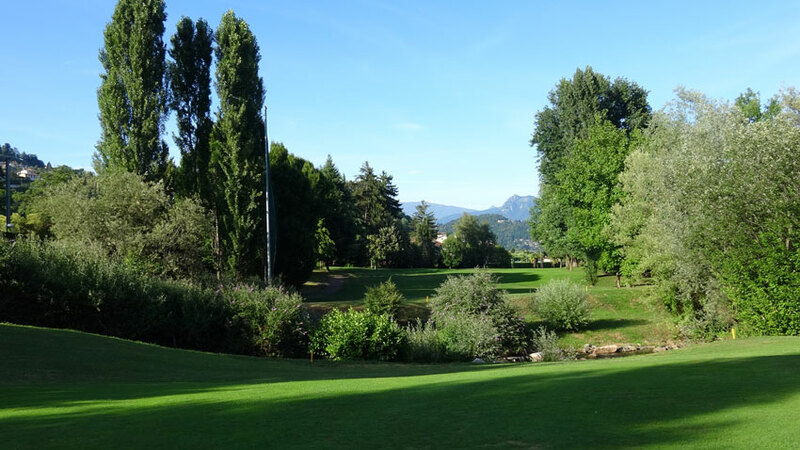 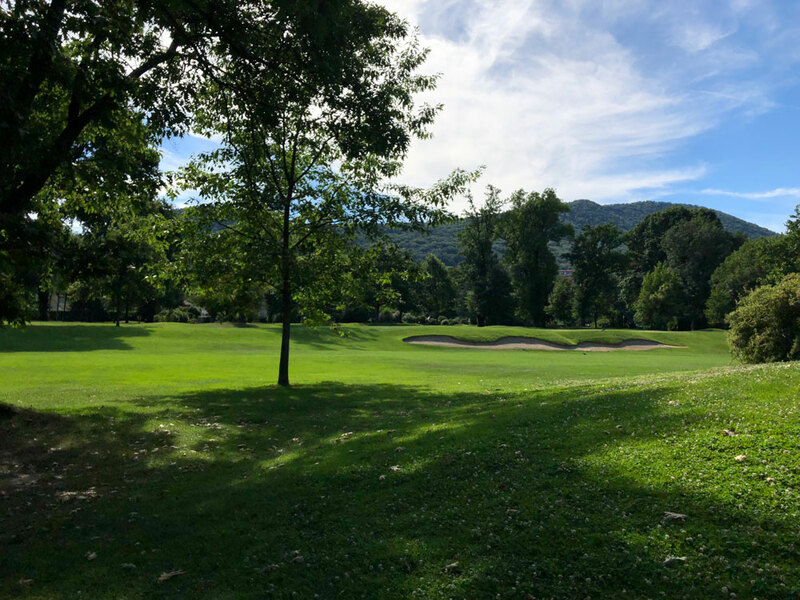 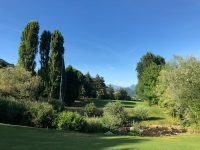 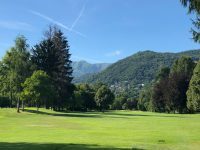 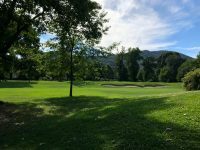 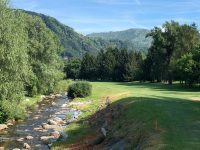 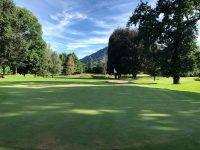 The most prominent and attractive feature of Golf Club Lugano is the omnipresent river which is crossed or comes into play roughly a dozen times during the round, oftentimes running like mini-rapids with a soothing sound that could lull a golfer to sleep if the golf wasn’t so terrific. 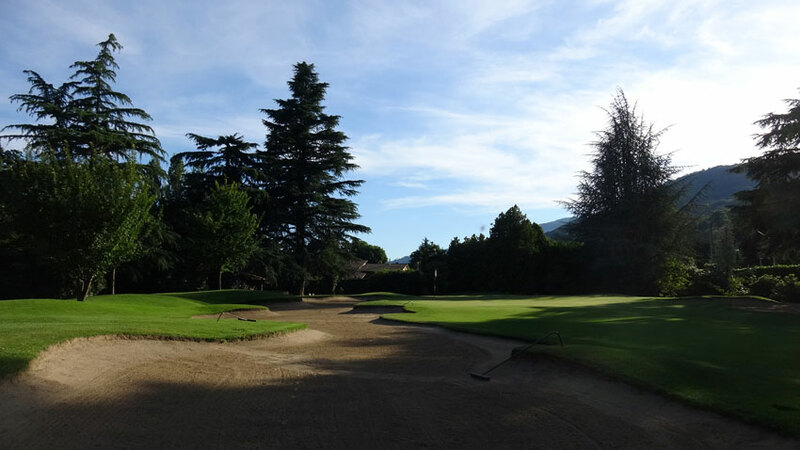 And terrific is exactly the word to describe Lugano Golf Club! 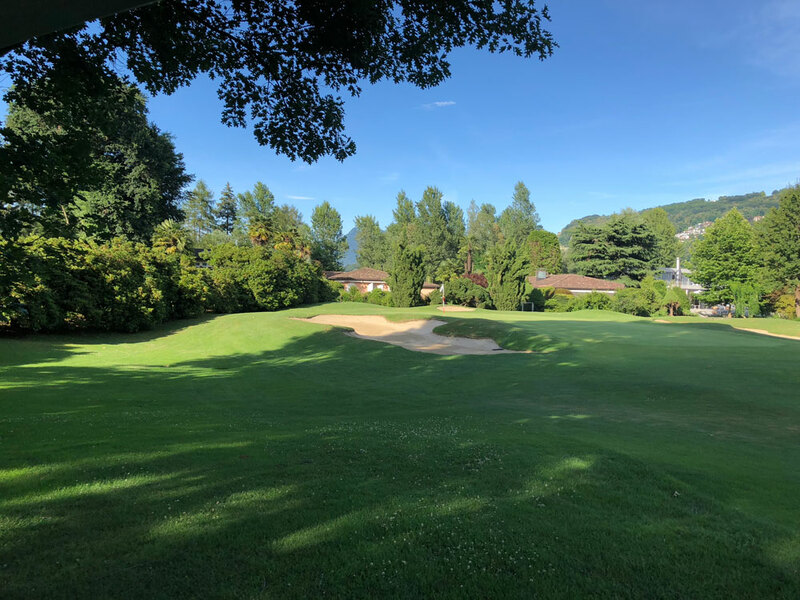 Featuring exciting and attractive par 3s framed by the water and mountains, tree lined par 4s sweeping across the landscape, with classic Swiss-Italian-style architecture bordering the property and with some of these beautiful buildings even coming into play, a round at Lugano is completely and totally unique, an unexpected feather in the cap of the truly intrepid golf traveler. 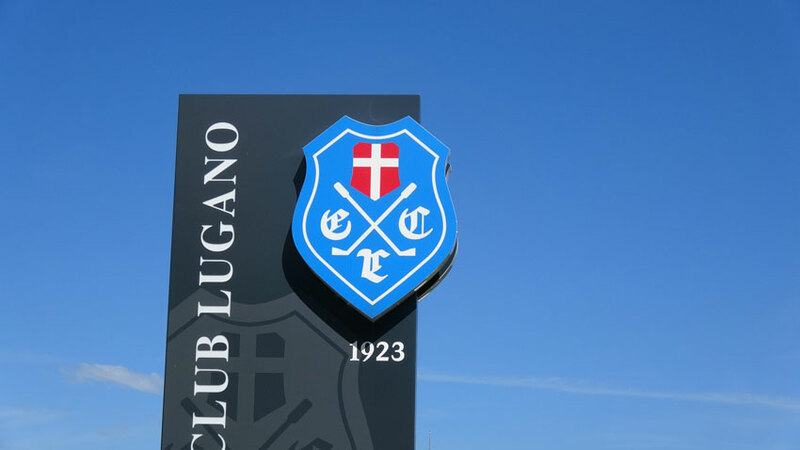 Don’t leave without a souvenir from the club’s pro shop as the club logo actually incorporates the iconic Swiss flag! 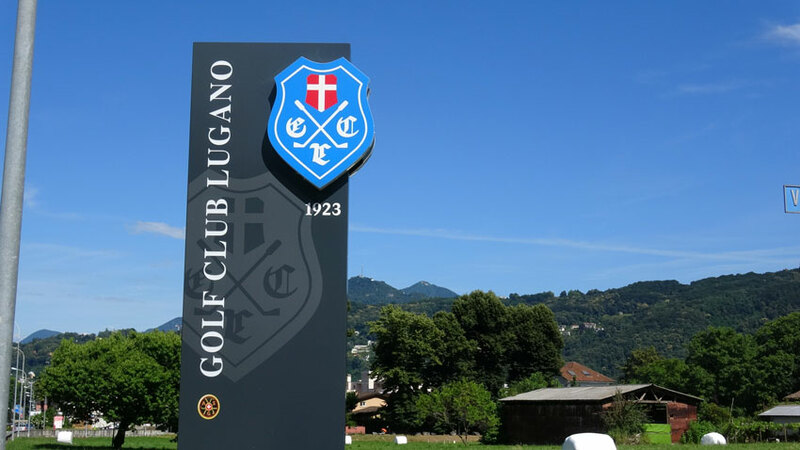 After the round a visit to the upscale city of Lugano along the lake is a must but watch your wallet! 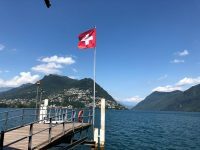 Crime is practically nonexistent but the high end boutiques are omnipresent and a Swiss watch might be particularly hard to resist. 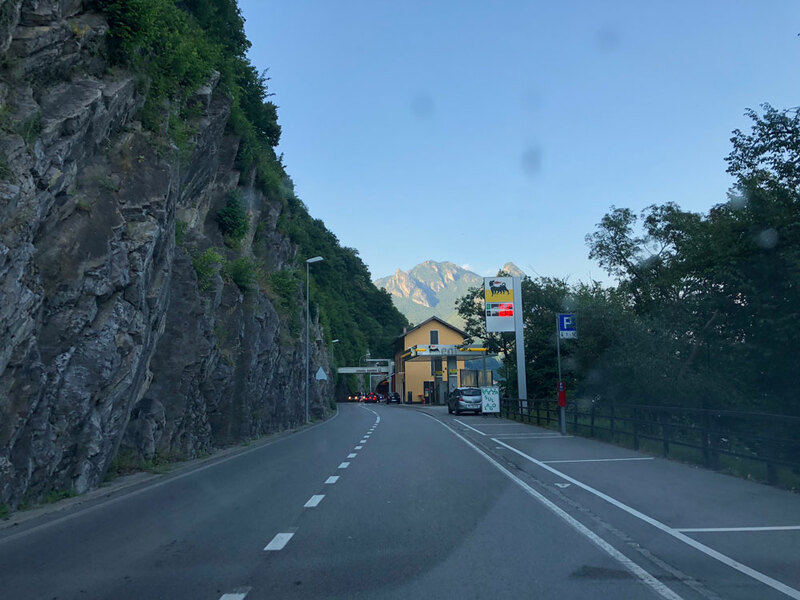 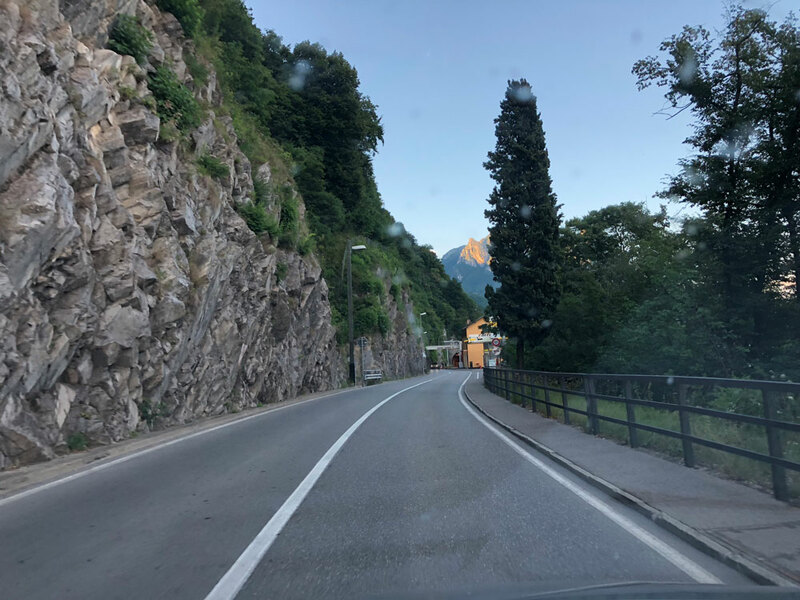 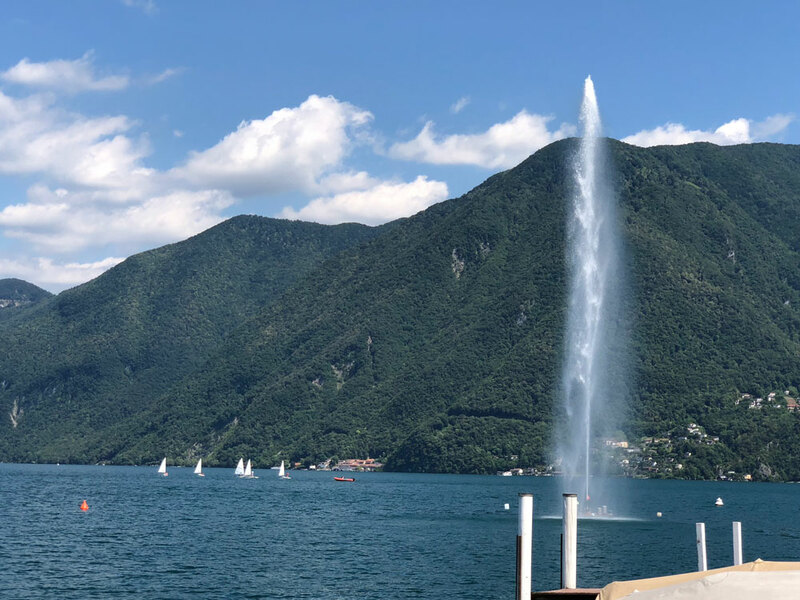 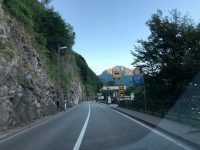 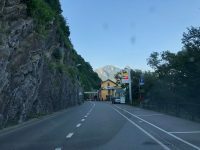 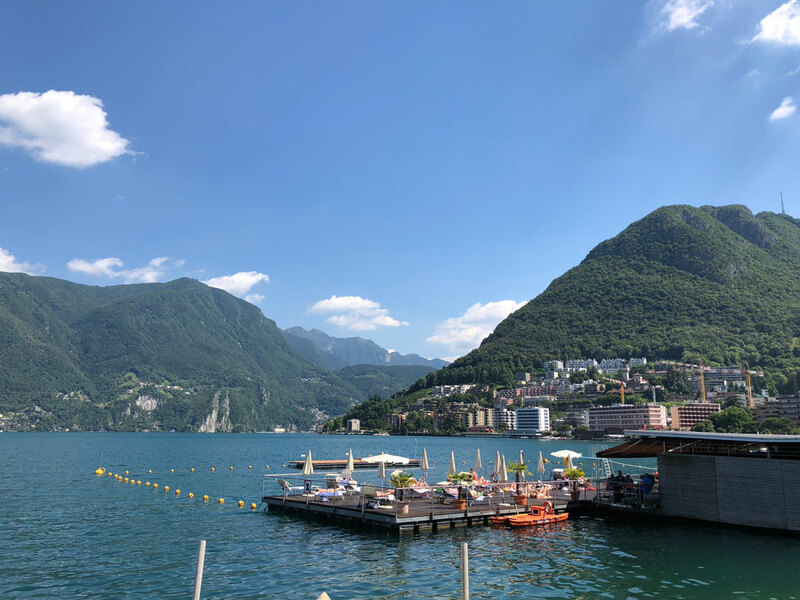 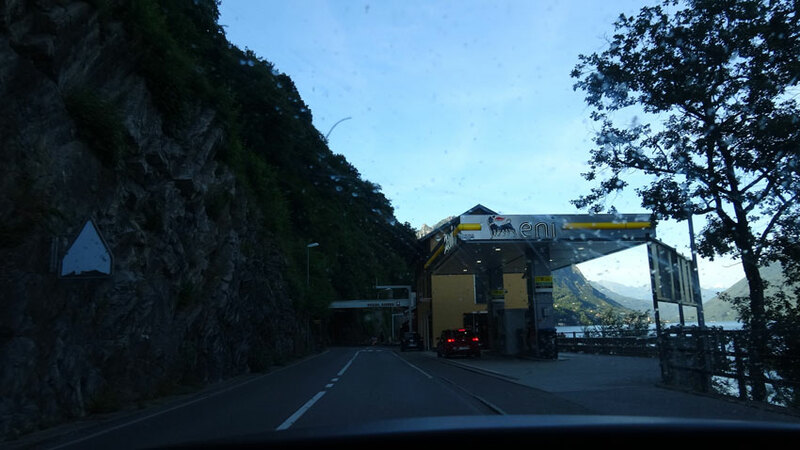 Lugano adds a totally different vibe to your Italy golf tour and even if there were no golf here to play, the side trip would be worth it just to experience what might just be the world’s most exhilarating border crossing, practically hanging on the side of a cliff!